As the “War for Talent” intensifies, now more than ever, it is critical that employers continue to look for new and unique ways to set themselves apart as an employer of choice for the best and the brightest. While a ping-pong table in the break room at work might sound fun on the surface, when it comes down to making a decision about where to work, the reality is, employees are looking for something with a bit more substance. Free Community College: What's all the Buzz? The average American is carrying around $27,000 in student-load debt in 2015. American's are either not going to school for the first time or not furthering their education because they can't afford it or don't want the debt. You have everything to offer: jobs to fill, a great workplace, exciting career paths, meaningful work, and a terrific staff. How do you leverage all of this to gain an edge in recruiting a fresh, talented, and enthusiastic May grad? We've compiled a brief employer's guide for successful college recruitment. Identify talent needs. Determine the talent you need now, the talent you will need in the future, and which departments would benefit from a new college graduate or entry-level role. Get rid of your traditional practices. Young people are drawn to innovative and non-traditional organizations. Dress down, color your walls, open up your office environment, and change your policies. Attracting this generation requires thinking differently about work. Create an online presence. Young people spend the majority of their time online and on social media outlets. Use social media, your website, and mobile apps to engage with young people and highlight your culture and workplace. Build an attractive employment brand for young people. What does your organization offer that is unique and that young people want? Young people generally desire to follow their passions, work on something meaningful, develop their career, and have work/life balance. Create a compelling message that attracts the younger generation. Promote clear career opportunities and paths. Young people are concerned about the career opportunities they can take advantage of at your organization and how you will develop their careers over time. If they can't see a future at your company, they won't apply. Make the recruitment experience fun. Whether it's creating an attractive booth at a college career fair or inviting students to fun social events to learn about your workplace, make their experience exciting and memorable and they won't forget your organization. Use your young professionals to connect and engage with students. Send your other young professionals on-campus and encourage them to connect and engage with students. Have them tell positive and compelling stories about their careers and experiences at your organization. Engage them over time. Maintain communication with students, especially if you begin recruiting early. Send them emails, call them, and let them know you are interested in them, particularly the exceptional talent that is vetting offers with your competitors. Develop relationships with key faculty and college career centers. They will recommend top students to you and suggest jobs at your organization to students. Select and target efforts at a few key colleges with quality programs applicable to your staffing needs. Create a job shadowing experience. Allow students to job shadow and witness your day-to-day operations to help them understand the job and experience the work environment. Pull out the bells and whistles and "wow" them with your hospitality while they are with you. Use internship programs. There's no easier way to hire a May grad than by converting one of your interns into a full-time hire. You get the benefit of testing their skills and experiences before making an investment. Provide the right pay and benefits package. For many college grads, their final decision comes down to basics: the highest offer and best benefits. 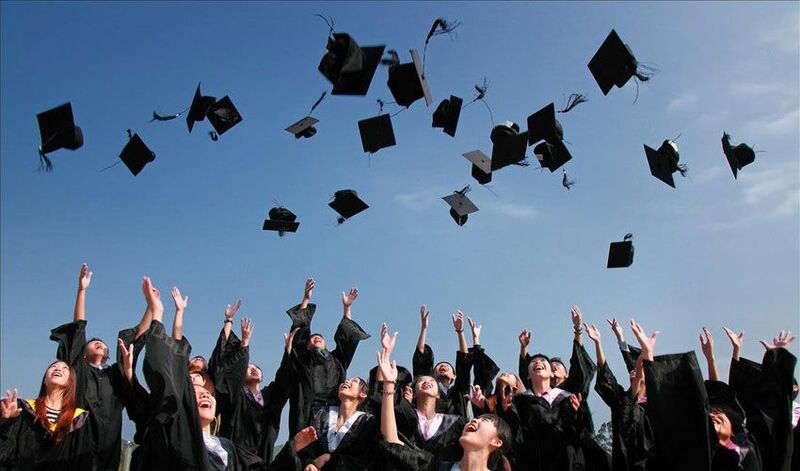 Make sure you know what other companies are paying new college graduates in your geographic area, otherwise you may end up making an offer that is unattractive to your candidates and all of your fantastic recruiting efforts could go to waste. College recruitment provides the opportunity to acquire fresh talent with tons of potential. Every organization can and should take advantage of these strategies to land a great young hire. Intern & Recent Graduate Pay Rates & Practices Survey This survey collects information from Northeast Ohio employers about their internship and recent graduate employment and pay practices - including intern pay rates and college graduate starting salaries. This survey provides important information for employers planning to hire interns or new graduates. ERC offers a broad range of HR consulting services and has expertise in developing selection systems, recruiting, and developing job descriptions. For more information about these services, please contact consulting@ercnet.org. Save on Background Screening, Job Posting, Recruitment Services and More! ERC members save money with our Preferred Partner Network.